In keeping with tradition, we will be showcasing a promising Dutch band that has their own vibe, while at the same time possessing that certain Roadburn flair, too! Whereas our native underground is currently one of the most lauded hotbeds of creativity for the artistic and experimental black metal scene, there are other genres that need to be explored by our international community as well. 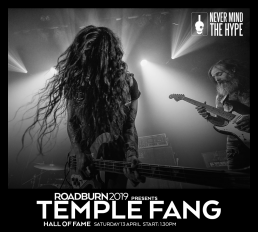 Hailing from Amsterdam, we’d like to welcome back Dennis Duijnhouwer, as the former Death Alley bassist will take the Roadburn stage with his new outfit, Temple Fang. 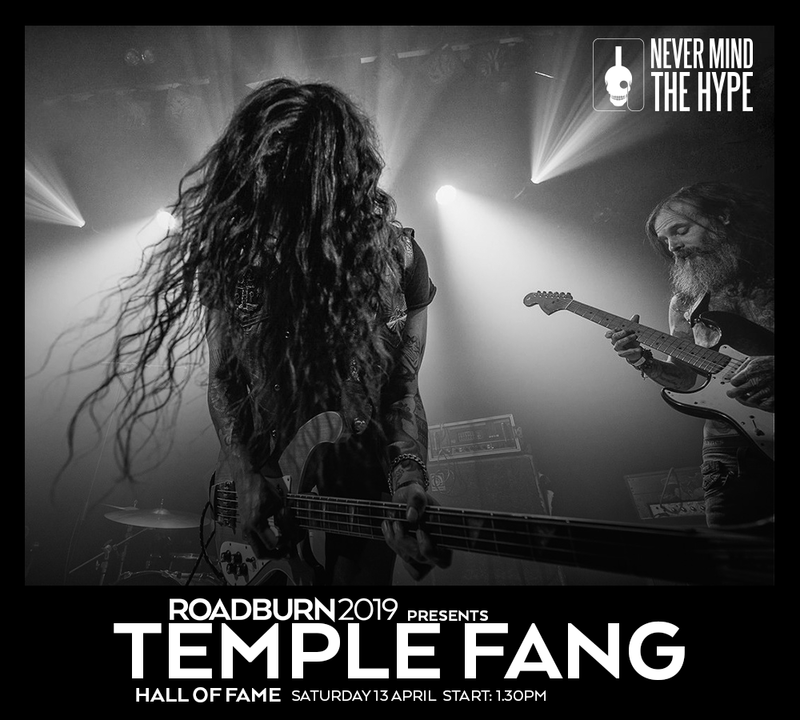 Though there’s no release yet, Temple Fang are currently making quite a name by way of hypnotic and overwhelming live shows, hence inviting them twice, as the band will also play Roadburn’s Ignition on Wednesday 10 April. Channeling the spirit of Grateful Dead, Blue Öyster Cult, Captain Beyond and Motorpsycho, some fuzzed-out rawk comes to the forefront of their sound as well. We’re eagerly anticipating Temple Fang (also consisting of Death Alley alumni, Jevin de Groot) as the band is poised to become such a heavy psych monster.